Zebra Technologies is a leading global provider of rugged and reliable specialty printing solutions, including on-demand thermal bar code label and receipt printers and supplies, plastic card printers, RFID smart label printer/encoders, certified smart media and digital photo printers. Honeywell Scanning & Mobility delivers reliable, high-performance data collection and wireless communication solutions worldwide, enabling customers to effectively track and manage data and assets. Newcastle Systems offers a full line of mobile powered workstations, accessories and power packages that can improve efficiencies for a wide variety of industries such as manufacturing, warehouse/dc and retail. CipherLab Industry Solutions provide the modern AIDC (Automatic Identification Data Collection) systems to identify, collect, control, connect and communicate data to manage business in various industries. Customers can take advantage of additional hardware features with good services and quality to customize for their application-specific requirements, ensuring optimal reliability and performance anytime, anywhere. For more than 30 years AML has been engineering and manufacturing barcode-centric products that are in operation all over the world. AML was founded in 1983 to respond to a need in the barcode data collection marketplace for high performance, easy-to-use, and cost-effective barcode and data collection products. 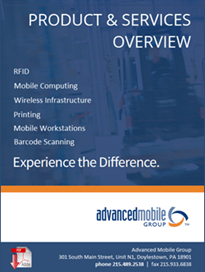 Our goal is to provide sensible solutions for mission critical activities, to improve efficiency and productivity, and to make barcode data collection applications worry-free. Xplore Technologies, maker of the most rugged tablets on Earth, has been in the business of developing industrial grade rugged tablets for our customers for over 15 years. Xplore’s products enable the extension of traditional computing systems to a range of field and on-site personnel, regardless of location or environment. Cisco wireless LAN solutions integrate seamlessly into an existing network as a wireless overlay or create freestanding all-wireless networks—enabling mobility and increasing productivity quickly and cost-effectively.